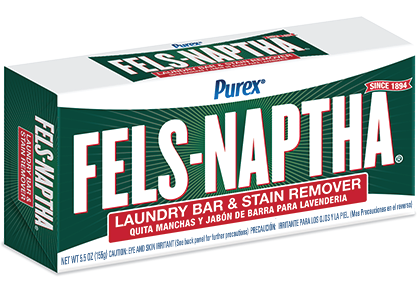 All you’ve got to do is rub the stain with a wet bar of Purex Fels-Naptha and let it sit for a few minutes. 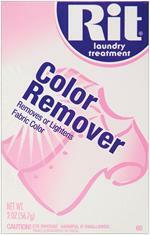 Then wash your clothes as you normally would and say farewell to tough stains for good. 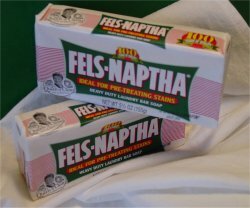 Fels Naptha soap is also a common ingredient in homemade and DIY Laundry soap recipes. 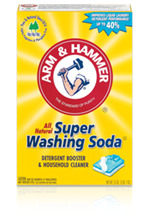 Yes, for a stain boost to a wash load, finely grate ½ of the bar (use less for smaller or less soiled loads) into the washer, fill washer with water, and agitate for several minutes before adding clothing. 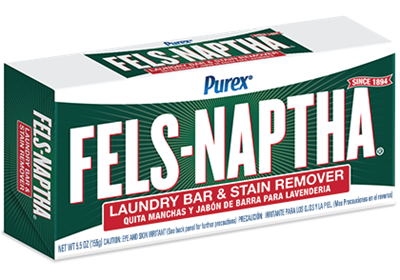 Can Purex Fels-Naptha be used as a laundry stain pre-treater? 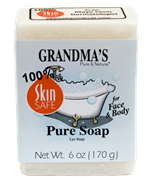 What is in a bar of Fels Naptha soap?